Parmalee is back looking to keep the momentum going. 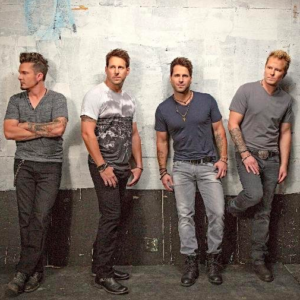 Parmalee would be an example of an “overnight” success story. They were hitting the road and putting out independent albums for a decade before they found their initial success. They cracked the top 40 on the country charts back around 2012. Then their big single was Carolina that reached the number one spot on the charts. Since then they racked up a couple more hits from their first album. They’ve been looking for the right song to keep the momentum going and maybe they have it with this one. Parmalee found their sound with a little rock and pop edge to their country style. They have some good harmonies and the lead singer has a unique voice that stands out on country radio. This song is a straight ahead love song. Kind of the young love type of song where two people are in that lust and love feelings. All they can think about is each other. They’re kind of going through the motions of the normal day. The idea of going out with friends and things like that aren’t as appealing anymore. Instead they want to be with each other all the time. They don’t want to go out partying and all that stuff. They want to stay in and have a good time with just the two of them. The song is catchy. It’s kind of got that Jason Aldean and Florida Georgia Line type of swagger. Country fans dig this kind of music. The more I listen the more I like it.